Rivian founder R.J. Scaringe didn't have a truck or car to show potential investors in his electric vehicle startup, but he did successfully play the alumni card to interest a deep-pocketed fellow graduate of Massachusetts Institute of Technology. Rivian Automotive founder R.J. Scaringe approached deep-pocketed Saudi investors in late 2011 with an audacious proposal. The young entrepreneur confessed he had no experience running a company. He admitted his initial prototype — a battery-powered sports car much like Tesla’s Roadster — was the wrong idea, and he planned to build a pickup instead. Of course Scaringe didn’t have a truck to show then. What he did have was something in common with Mohammed Abdul Latif Jameel, the chairman of a Saudi auto distributor who, like Scaringe, also attended Massachusetts Institute of Technology. Scaringe showed up recommended by MIT contacts, and playing the alumni card worked. After a series of meetings pitching clean-running pickups and SUVs in hotels around Europe, he sealed a deal in early 2012 for $5 million in funding to get Rivian Automotive in gear. 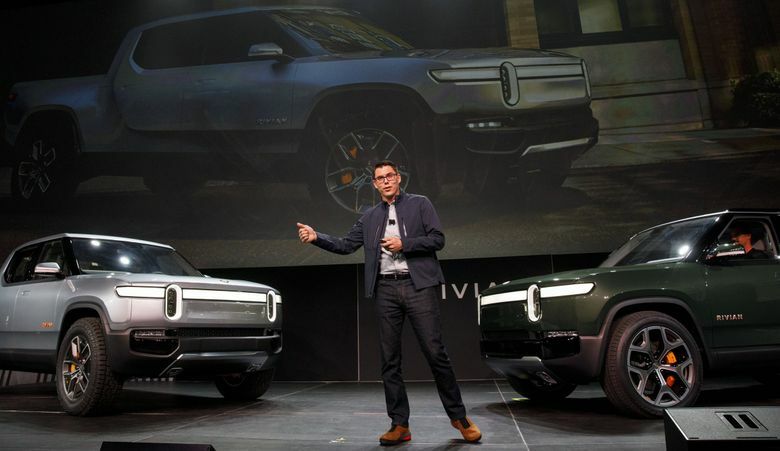 Rivian had another seminal moment this month, when it announced a $700 million funding round led by Amazon.com. Scaringe also is in talks with General Motors on some kind of partnership with the largest U.S. automaker, as well, said people familiar with the matter. 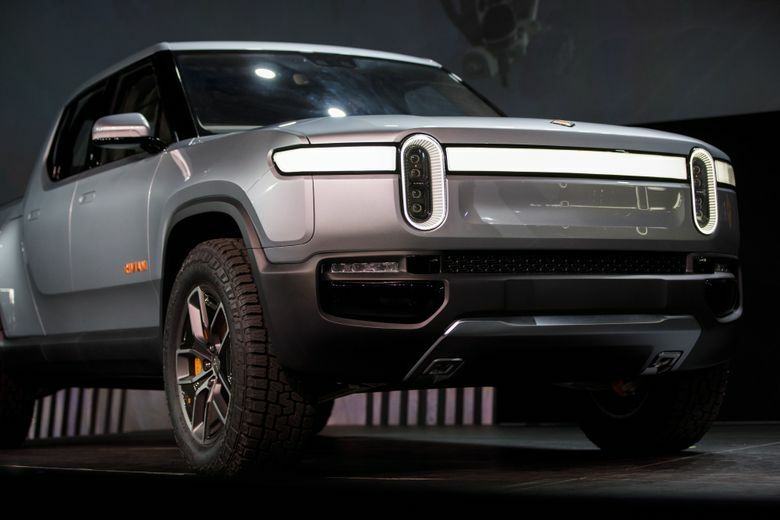 Scaringe has spent the last seven years developing a pickup and sport-utility vehicle that’ll be built off a common electric-battery platform that could be used for other models in the future. In exchange for leading the bulk of the $1.15 billion in investment Rivian has drawn to date, Amazon will get a minority stake in the company. The EV platform, which Scaringe prefers to refer to as a “skateboard,” is a big part of his vision to deliver fat returns to those who’ve backed him. In addition to selling his own trucks and SUVs, he’s open to selling the technology to others for a myriad of applications, such as stationary batteries. “There’s another aspect to our business, which is leveraging our skateboard architecture and platform for non-Rivian products, which allows us to play in other spaces outside of our own brand and access other customers,” Scaringe said. In this sense, Scaringe is similar to Tesla Chief Executive Officer Elon Musk, who has opened up the company’s patents to help develop electric cars. The two differ, though, in their willingness to let veterans of the auto industry help get their companies rolling. Whereas Musk sought to reinvent carmaking with extensive use of automation — an ambition that contributed to repeated delays in getting the lower-priced Model 3 sedan to market — Scaringe has eagerly poached from big conventional automakers’ manufacturing, engineering and design departments. “He’s taken time to learn from everyone’s mistakes, and he’s going after a market that is still growing,” Tony Posawatz, an auto-industry consultant who developed the Chevrolet Volt plug-in hybrid for GM, said of Scaringe. Much of Rivian’s workforce of about 750 employees is spread across California and Michigan, with automated driving and software engineers in San Jose, battery geeks in Irvine, and traditional auto engineers just outside Detroit. It also has a small office in the U.K. The company acquired its Normal, Illinois, assembly plant from Mitsubishi Motors in 2017 for $16 million and was able to repurpose some of the equipment the Japanese automaker left behind. Rivian’s vice president of manufacturing, Matt Tall, came from AM General, the maker of Humvees for the military and the Hummer SUVs GM once sold to civilians. Jeff Hammoud, VP of design, is a veteran of Fiat Chrysler Automobiles NV’s Jeep. In an interview before the Amazon announcement, Scaringe declined to comment on that deal, or on any discussions with GM. He did say Rivian’s backers, which include Japan’s Sumitomo Corp. and Britain’s Standard Chartered Plc, are committed. “We will bring on additional partners, but less because of capital reasons and more because of a need to have strategic relationships as we scale toward our broader vision,” he said. If Scaringe is able to land outside investment from several giants of the auto and technology sectors, he’ll be making more Musk-like moves. Tesla sold stakes to Daimler and Toyota Motor and partnered with them on joint electric-vehicle projects to help weather the recession, though both have since parted ways. China’s Tencent Holdings ranks among the Model 3 maker’s top shareholders. Buy-in from Amazon and others will hand Scaringe the cash to help bring Rivian’s R1T pickup to market, planned for next year. The investment also carries with it the potential for the world’s largest online retailer to eventually become a customer. Amazon has been building out a fleet of vehicles bearing its brand to handle deliveries for its wildly popular Prime service. A car buff since his youth, Scaringe grew up on Florida’s Space Coast in Melbourne, near Cape Canaveral. Like his father, he has a doctorate in mechanical engineering. He rebuilt a 1957 Porsche Speedster in his youth and dreamed of starting a car company. While earning his master’s and doctorate from MIT, where he was a member of the Sloan Automotive Laboratory’s research team, Scaringe had an environmental awakening. According to official company lore, he spent his free time hiking, carried around his own fork and spoon, dried his laundry on clotheslines strung around his apartment and biked to class, even in the winter. In class, Scaringe was relatively quiet and well liked by his peers, said Wai Cheng, a professor of mechanical engineering who supervised him. Scaringe went through several names for the company after founding it in 2009. It was called Mainstream Motors on an interim basis and received seed capital from Florida-based Mainstream Engineering, a company his father owned. It briefly went by Avera Motors until South Korea’s Hyundai Motor complained this sounded too much like its Azera sedan. Scaringe settled on Rivian in 2011. Back when its headquarters was near Cape Canaveral, Rivian got an early leg up from $3.5 million in state funding. That included financing from Florida’s aerospace economic development organization, which invested about $1.5 million in return for stock warrants that it has yet to exercise. “Obviously, we would have liked them to have built a giant car factory on the Space Coast, but ultimately we expect them to develop technology” that will prove useful to the space program, said Dale Ketcham, a spokesman for Space Florida. 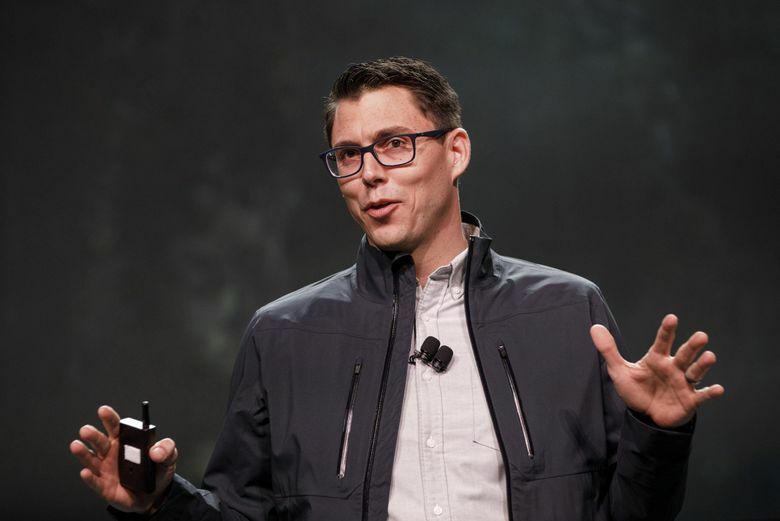 At a briefing for journalists in November, Scaringe said Rivian was looking to do for autos what Patagonia has done for outdoor clothing, aiming for an upscale but utility-focused consumer. His goal is to make a pickup and SUV that are premium and give buyers a spirit of adventure, but with clean emissions and great technology, including over-the-air updates. If he delivers, Musk’s success suggests Scaringe has a chance to be greeted with broad appeal.